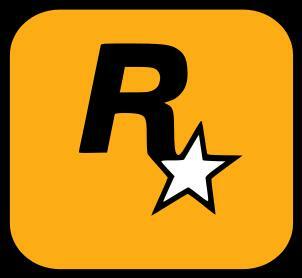 This weekend you will be able to challenge Rockstar at their own games and take part in all sorts of challenges that can bring you some really cool prizes. So, from December 12 and December 14, get your GTA IV and Midnight Club LA copies ready, because pure madness will kick off. Oh, and one more thing: make sure you’ll read our GTA IV PC video editor tutorial – you’ll certainly need to know as much as possible about it! So, back to this new Rockstar weekend, you will be able to play against the Rockstar team in various online modes if you log in following the schedule posted here. Also, you can go for even greater things and prove your skills in the GTA IV PC Video Editor Contest and have a chance to win a Grand Theft Auto IV prize pack and a $300 shopping spree at the online store where you can purchase Rockstar games, clothing, and limited-edition merchandise. In order to participate, all you have to do is to create and upload a video using the video editor using the “best-in-class-contest” tag for it. Just make sure it’s a quality clip and you actually upload it any time between December 12 and December 14. Also, if you want to prove you have the skills, you can register to take part in the first Midnight Club Los Angeles tournament, the Ocean to LA River Time Trial which will take place all day on December 14. If you manage to get the best time (either on the Xbox or PS3), you’ll win a Midnight Club Los Angeles prize pack and a $300 shopping spree at Rockstar Warehouse.